As an optometrist, people ask me about makeup for contact lens wearers and for those with sensitive eyes. I don’t wear contact lenses, but I do have sensitive eyes. Eyes prone to dryness and itching. On occasions, I get eczema on my eyelids too, so consequently, I’m very particular about which products I use. This is a paid partnership with Butterflies Health Care, who recognised me as both an optometrist and a blogger. They invited me to write about their makeup and skincare range, Eye Care Cosmetics. I’m professionally qualified to give advice about all aspects of eyes, spectacles and contact lenses, but I will only recommend a cosmetic product if I’ve used it myself. I agreed to collaborate, on the understanding that I will only include those products that I believe to be effective, that I like and that I would buy myself. A rule I apply to all gifted items and services actually. I chose a range of products and have been using them for about six weeks. Everything is suitable for contact lens wearers and for those with sensitive eyes, dry-eyes and blepharitis, (inflammation of the eyelids). And I’m very impressed. I write safe in the knowledge that everything I tried was kind to my sensitive eyes and the surrounding skin. I’m also impressed with the brand as a whole and I’ll tell you why. Eye Care Cosmetics were winners in the Pure Beauty Awards in 2014, 2015, 2016 and 2017. Not only that, in 2013, they were recognised by our industry and named as a finalist in the Optician Awards Contact Lens Product of The Year. The fact that this brand has received accolades from both the optical and the cosmetics industries speaks volumes. As a matter of interest, the range is distributed in over 35 countries and is approved by Asthma Allergiforbundet. 1. Insert contact lenses first. Insert contact lenses before applying moisturizer and other facial products. This will help avoid getting residue from around the eyes onto the lenses. 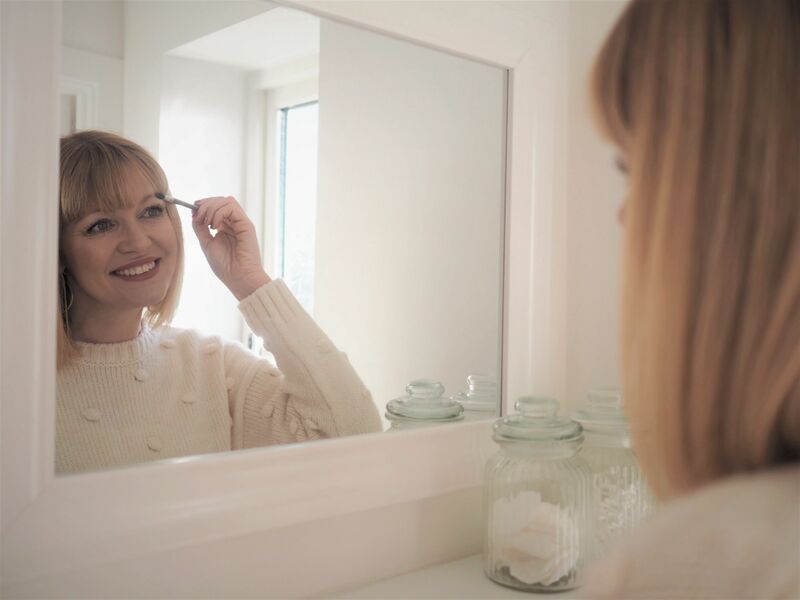 Remove contact lenses before removing eye make-up for the same reason, (and to avoid dislodging them in the process). 2. Use hypoallergenic and oil-free products. Opt for fragrance-free and/or hypoallergenic eye make-up. Choose oil-free foundation and moisturisers to minimise getting an oily film onto the lens surface. The packaging will state if the product is suitable for contact lens wearers. 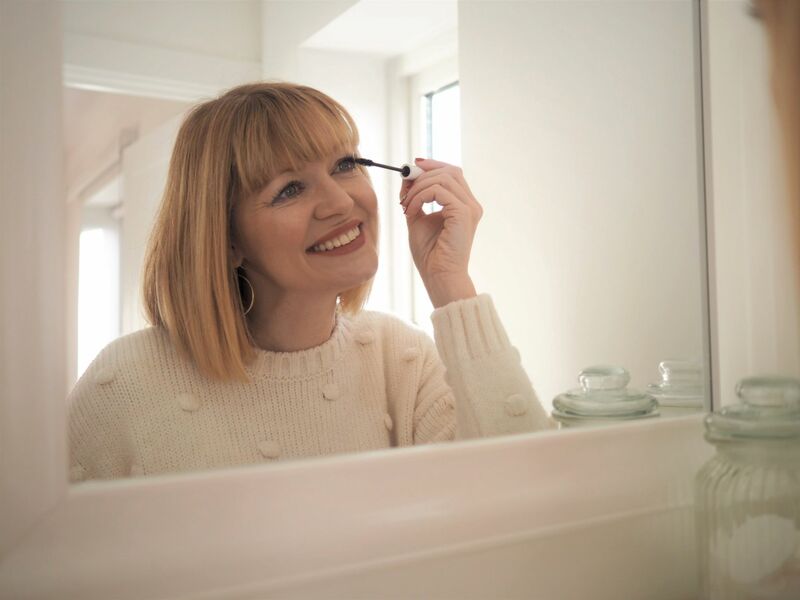 Choose a fibre-free mascara (or one that doesn’t shed) Fibres if shed, can irritate the eyes and scratch the lenses. A water-resistant mascara is less likely to flake and smudge. Choose pressed powder and close the eyes when applying. Glittery eye shadows tend to shed particles so are best avoided. 5. Wash brushes and applicators regularly. Wash brushes and applicators regularly with mild soap or shampoo and allow to dry naturally. The cosmetic bag can be full of bacteria from makeup brushes, containers and bottles so avoid keeping your contact lens case in there. Keep make-up tightly covered or sealed to minimize contamination. In common with many women, mascara is my desert island cosmetic. It makes the biggest difference out of everything in my cosmetics armoury and I don’t like being seen without it. I tried three different types of mascara, all suitable for contact lens wearers and sensitive eyes, from Eye Care Cosmetics. 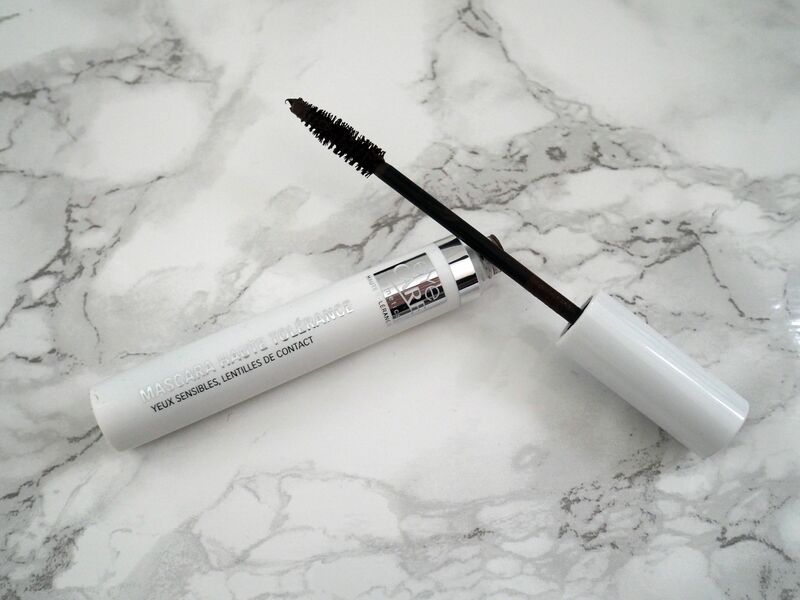 High Tolerance Mascara was specially developed for sensitive or delicate eyes. It gives a very natural look because it’s fibre-free. The brush is easy to use and the formula doesn’t clump. This mascara didn’t irritate at all and came off easily. Throughout these trials I removed all eye makeup with my usual eye-makeup remover and also with Eye Care’s own 2 in 1 Eye Makeup Remover (more of which below). For me personally, this didn’t give me the volume I so crave, but it’s an excellent product for those wanting a no-mascara look. 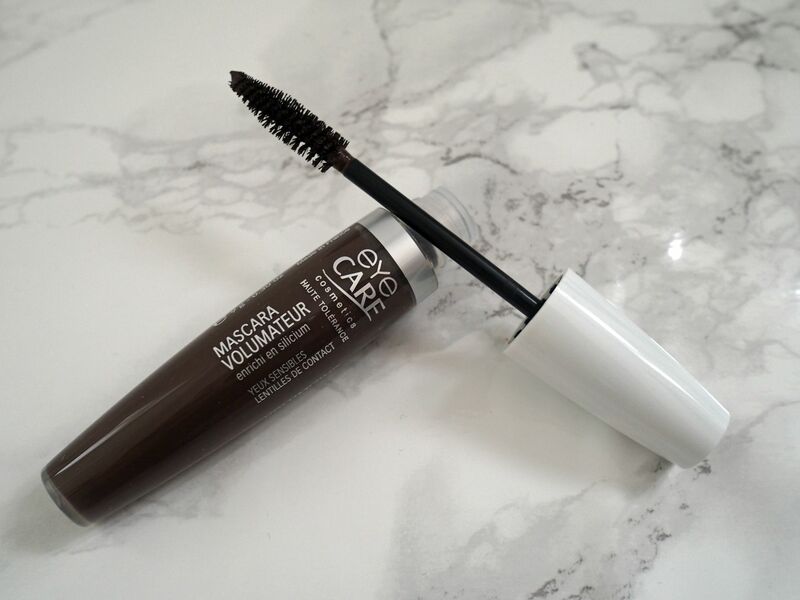 This Volumizing Mascara is much more like my habitual choice (Maybelline Volume Express). It’s got an innovative high-tolerance formula and a nice plump brush. Despite my advice to the contrary above, this one does contain fibres. However, the fibres are nylon, (which are smooth, so don’t irritate) and mineral micro-spheres, which are bound together to give volume without clumps. I tested this one rigorously and wore it for a few parties over Christmas and New Year. It is excellent. There wasn’t a single occasion when any of the fibres shed either around my eyes, or into them. The mascara didn’t smudge or flake and nor did it clump. This fulfills every one of its promises and I highly recommend this for those who, like me, want to draw attention to their lashes. As you can see in the image below, the Conditioning Mascara is clear. It can be used as a standalone product or as a primer. Now although I don’t like to be seen sans mascara, there are times when it makes sense; the gym and the pool being examples. After all, panda eyes are a friend to nobody. This clear mascara adds enough definition to the lashes to make a difference and I shall continue to wear it to the gym. Infini-lashes is a unique, innovative and hypo-allergenic formulation to activate and boost lash growth. It combines active ingredients and has proven to be effective. 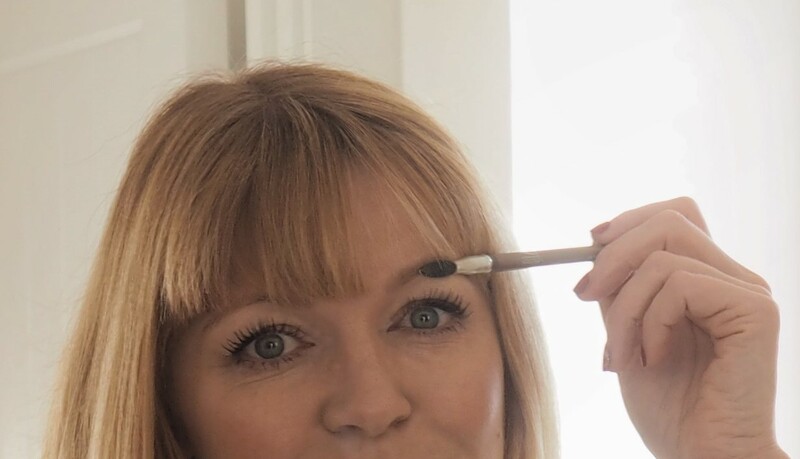 It has two ends: a mascara brush to apply to the lashes and a fine liner to apply along the eyelid next to the lash line. I have to admit that I haven’t noticed a significant difference after using this for six weeks. With that being said, my eyelashes are already long and thick. An improvement would perhaps be more apparent on sparse lashes. However, I’m going to continue to use it, not least because I have every faith in the pharmocology behind this product. 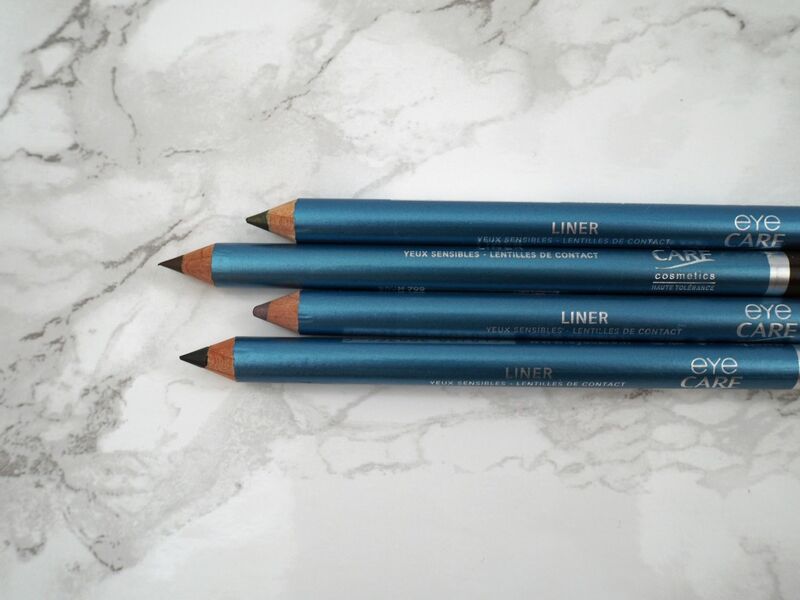 You can see from the photo that I couldn’t wait to try the olive coloured eyeliner pencil! I don’t wear a lot of eyeliner and if I do it’s just on the upper lid, very close to the lashline, when I wear an evening look. (I don’t condone wearing liner on the inner rim along the waterline). There is a wonderful selection of colours, which are supersoft and non-drag. The formula is high in natural waxes and oils and are hypo-allergenic and irritant-free. Again, over the festive period, I used each of these colours. The pencila are indeed very soft and they glide along the skin. Many drag the delicate skin which is the last thing it needs. I recommend these for everybody, whether or not they have sensitive eyes or wear contact lenses. This double-ended waterproof eyebrow pencil has a coloured tip at one end and a brush at the other. It is particularly suitable for sensitive eyes and/or skin. It colours and defines brows with a waterproof formula. I put it to the test when I went for a swim and I’m pleased to report that it stayed put! It’s available in two shades – light or dark. 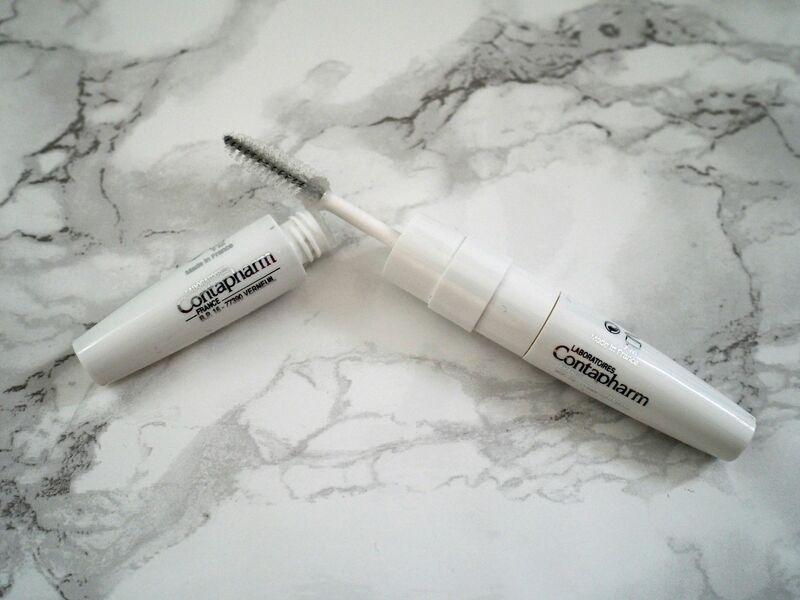 The light was perfect for my brows and this is another product I love and highly recommend. I’ve tried numerous eye makeup removers over the years. Many of them irritated or stung or were ineffective or too oily. However, for several years, I have happily used a Boots own brand gel, which is probably one of the most inexpensive products in my bathroom. I love it and I swear by it. this is why I wanted to use it to remove all of the makeup I tried above. The Eye Care Cosmetics 2-in-1 express is a bi-phasic product; that is an oil and cornflower water hypo-allergenic remover that mixes when shaken. It will remove waterproof eyeshadow, felt pen eyeliner and multiple coats of mascara effortlessly. Now as I have just said, I don’t like oily products, but I’m always open-minded. 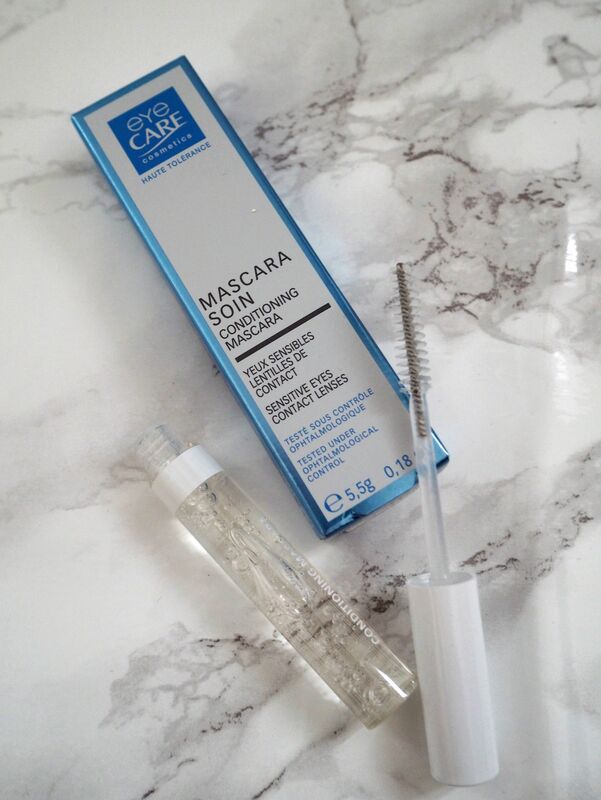 Without question, it removed every one of my numerous coats of mascara easily and without needing to rub. And a little goes a long way. However, I do prefer my usual gel formulation. That is just my personal prefernce though; this is an excellent, effective and efficient product. Butterflies Health Care also has a whole range of face creams, face makeup and nail products suitable for sensitive skin. Although this is outside of the remit of this blog post, I’ve tried, and can therefore recommend, the blush, the eyeshadow and the nail polishes. I also tried the anti-wrinkle cream which is lovely to use. A beautiful texture and very easily absorbed. I’m impressed with every single product I tried. Some don’t suit my personal preferences, but each and every one was kind and gentle to my sensitive eyes. And that’s what’s important. For that reason, I have no hesitation in recommending all of these products to those who have sensitive eyes or wear contact lenses. There are of course other brands that produce eye makeup for sensitive eyes, (and it’ll say so on the packaging), but I like the science behind Butterflies. I like the fact that the brand is underpinned by an optometrist and a pharmacist. I like the fact that it has been recognised by the optical industry as well as by the cosmetics industry. This is a paid partnership with Butterflies Health Care. All of the products I requested, were sent to me for purposes of review. Everything I write is 100% honest and all content is my own. The advice in the first half of the post is the same for any brand of makeup. And if you wear glasses you might like my makeup tips for spectacle wearers. Thank you for reading and thank you very much for supporting those brands that support What Lizzy Loves. Next Post My New Look Blog! Liz I don’t wear contacts myself but I know a few people who do, I’ll be passing on the details of this range as I know they have problems with makeup irritating them. As someone who’s ALWAYS worn waterproof mascara (I’m a crier, lol) I didn’t know about the fibres thing in mascara, can you believe it?? Thanks for a fantastic review, I always trust them 100%!